The double garage space that would become Emma and Andrew’s apartment needed a lot of work to make it more liveable. Perhaps the most glaring issue to start with was the ceiling – or rather, the complete lack of one. 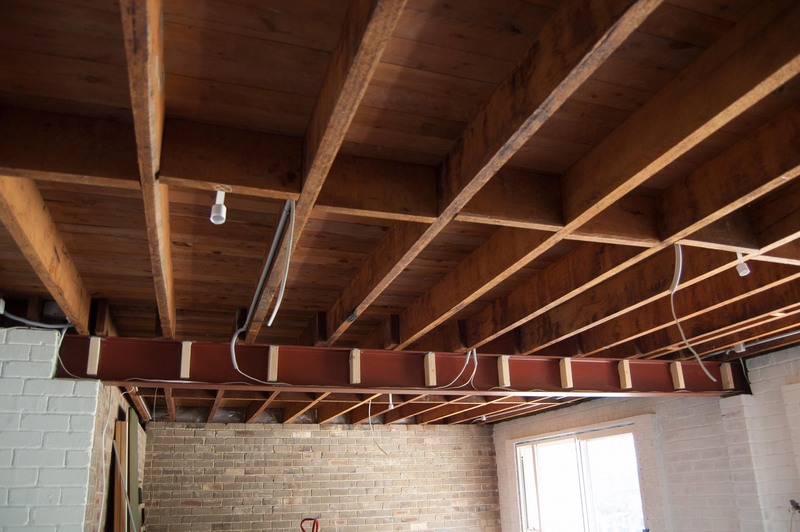 Thanks to a sloping block, the garage was situated underneath the rest of the house that belongs to Andrew’s parents, and the ‘ceiling’ consisted of the underside of the floorboards that formed the floors of the rooms upstairs. said Andrew, who had been living in the garage on his own for several months in its pre-renovated state. They slipped notes down between floorboards to me as well. Obviously we needed to put a proper ceiling and some good soundproofing in. 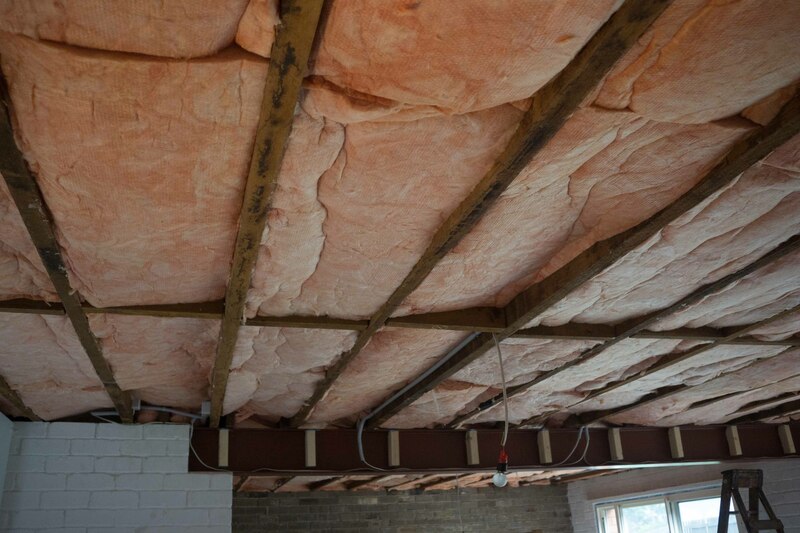 The couple needed insulation that would provide excellent soundproofing properties and also some thermal insulation as well, especially considering how cold the garage could get in the winter months. 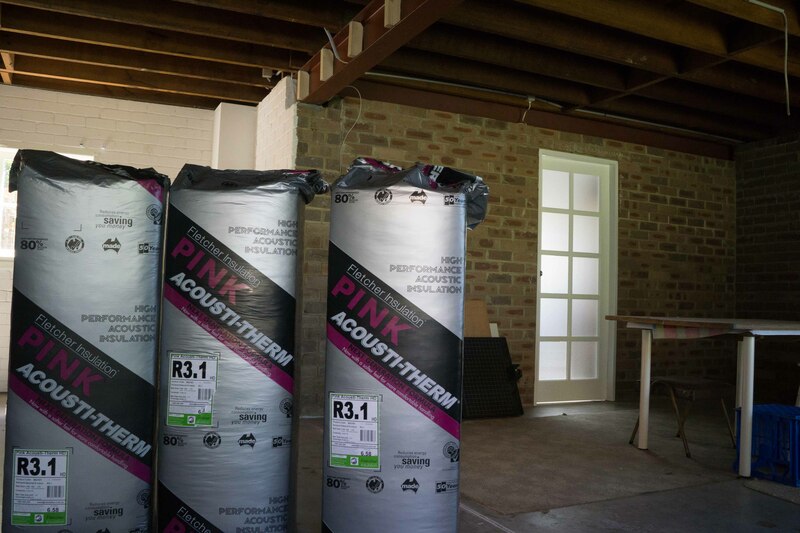 Fletcher Insulation was able to deliver the perfect solution in the form of their Pink Soundbreak Batts, which have both acoustic and thermal insulation properties. True to their eco-friendly vision, the batts are certified with GECA under the Thermal Building Insulation Materials standard. Fletcher Insulation utilises approximately 70% recycled waste glass in the production of their glasswool insulation, and avoids the use of ozone-depleting substances in both manufacture and composition. The batts are also required to be free of hazardous substances such as a range of flame retardants and toxic heavy metals such as lead, mercury and chromium. 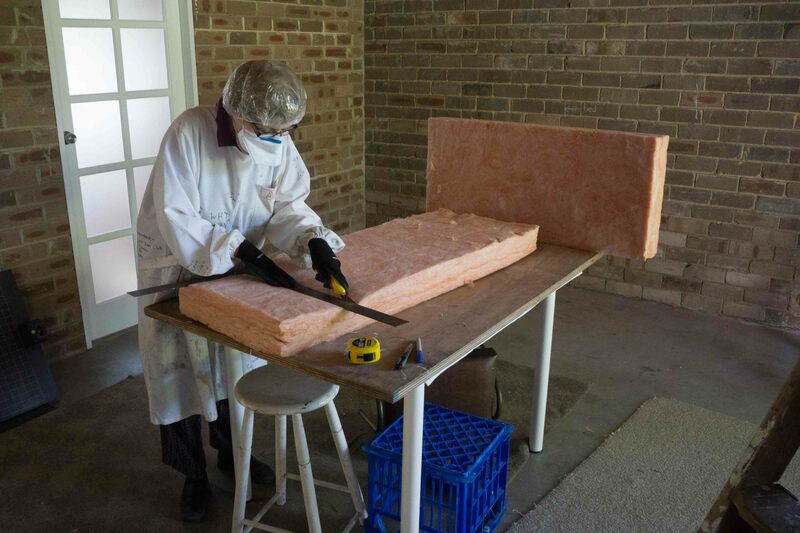 Installing the insulation was relatively straightforward. Some protective gear was worn in accordance with the suggested guidelines on the packaging. The batts were cut slightly larger than the spaces between the rafters so that they would fit snugly and hold themselves in place. Once the insulation was installed and the ceiling board in place, the benefits were obvious. said Emma of the final result. It’s amazing how much it’s muffled the sound! And the whole apartment stays toasty warm on colder days as well. Find out more about Fletcher Insulation. Click here for part 3 – plasterboard.